A martial arts fantasy musical… what?! Yes. It’s been done, and it is glorious. 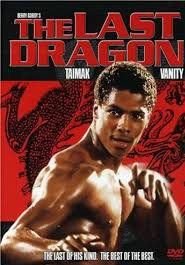 If you’re standing there perplexed, smooth out that frown, ‘cuz today we’re talking about The Last Dragon. Sho’nuff! 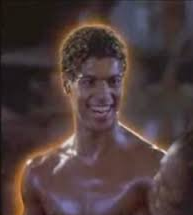 The Last Dragon is a freakin’ masterpiece. It has everything, a noble hero, a beautiful songstress in distress, a hilarious villain, piranhas, big ‘80s hair, and an awesome musical number at the end where everyone is dressed in white tuxedos. You can’t make this stuff up. This film was released in 1985, and hasn’t left my consciousness from the moment I saw it. It follows super cute Leroy, a devoted martial artist, who worships Bruce Lee (who doesn’t?) and dreams of one day achieving the ultimate mastery of martial arts, otherwise known as “The Glow”. 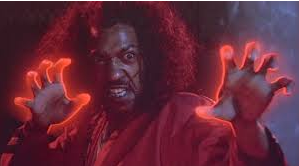 He must defeat the Shogun of Harlem, the best villain that's ever villained, Sho’nuff. There’s all kinds of weirdness in this movie, but my favorite part is when he finally catches a bullet with his teeth in the climactic scene. You must watch this movie. NOW. Your life will never be the same.